Witches, werewolves, and ghosts will soon be roaming the streets with Halloween. These eclectic figures are looking for the best ways to capture the intricate details of their creative ensembles, without lugging around professional gear. Have you thought about a piece on capturing your Halloween moments? As a scrapbooker I'm always looking for new and fun ways to capture memories at holidays. I'm really looking forward to trying out my new Limelens set when I take pictures of my daughter tomorrow night while we are out Trick-or-Treating. I mean how cool would it be to capture her all dressed up in fisheye style! I love that by using the included attachment that sticks to my phone I can easily slip on a Limelens for some photos, then slip it off again when I'm done. Limelens offers superior quality smartphone lenses with a greater choice of photo angles, framing and composition. The Thinker, a dual macro/wide lens, and The Captain, a 190 fisheye lens, are the must have tools for any novice to expert photographer snapping away on their smartphone. • Versatile attachment compatible with 40+ devices whilst ensuring the lens is stable and is easily attached and removed. • Ability to take photographs with wider angles, in order to capture all elements of their photograph. • Capture incredible details of their subject, of which a smartphone camera alone could never accomplish. • Provides smartphone photographers with a sense of community, encouragement and inspiration for their projects, no matter their distance, experience level or ability. 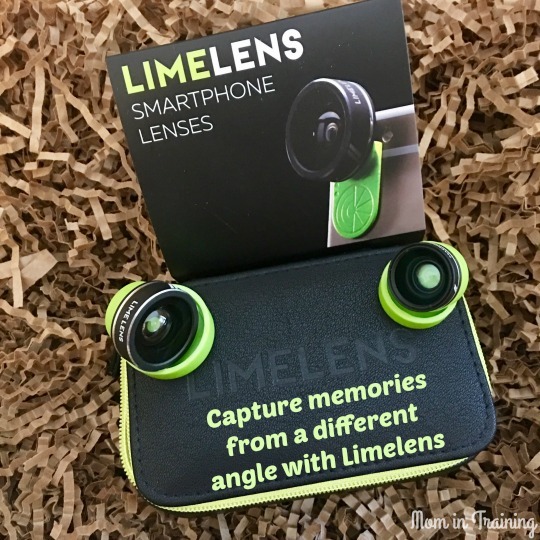 The Limelens introductory Set includes both lenses as well the Limeclip attachment that fits over 40 devices, including leading smartphones and tablet brands. Available at www.limelens.com for $49. I've seen things like this around for a while but never really seen pics from everyday people. Always wanting to try them!